Harley Granville-Barker was born at London in 1877. He appears to have begun his stage career at an early age, when he became an actor in a provincial company. His first London appearance was in 1892. He subsequently acted with Lewis Waller, Ben Greet, and Mrs. Patrick Campbell, and participated in the productions of the Elizabethan Stage Society. Becoming identified later with the Stage Society, he produced and acted in a number of Bernard Shaw’s early plays. 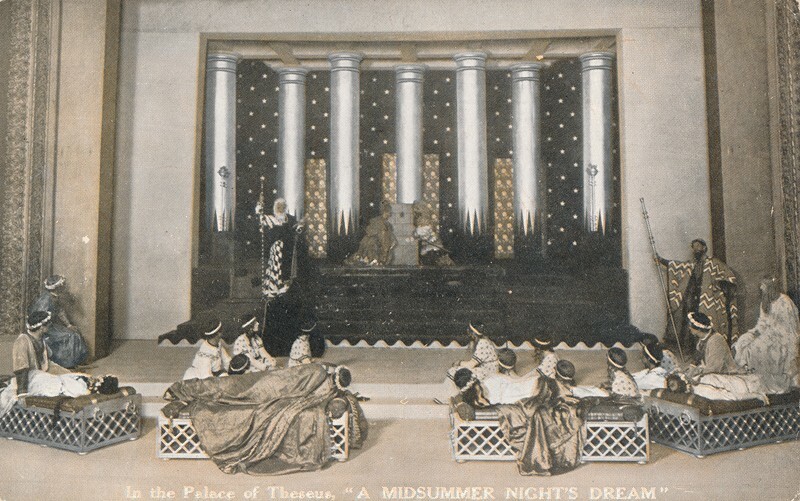 In 1904, he undertook, together with J. E. Vedrenne, the management of the Court Theater, where he successfully experimented in a repertory scheme, producing many new plays by Shaw, St. John Hankin, Barrie and Galsworthy. He continued his managerial activities at the Duke of York’s Theater, the Savoy—where his Shakespearian revivals were produced—the St. James, and the Kingsway. His career boomed as a result of producing Twelfth Night, A Midsummer Night’s Dream, and The Winter’s Tale, from 1912 to 1914 at the Savoy. These productions famously replaced the typical classical scenery for symbolic scenery on stage. Granville Barker’s plays are, in the best sense of the word, experiments in form. They are a good deal more than technical feats, to be sure, but one feels that they are primarily quests after a newer and more flexible medium than that which the workers in the traditional form habitually use. The Madras House, for example, judged by the standards of Pinero, is hardly a play at all; its artistic unity lies rather in the theme than in the actual plot. In Waste, the theme again—more concrete than in The Madras House—dominates the form. The Voysey Inheritance, a study of upper middle-class English life, comes nearer to the traditional dramatic form (Clark, 197-8). Notably, Granville-Barker spent the last twenty years of his life writing the twelve-volume prose work Prefaces to Shakespeare, which was the first major Shakespeare study to attend to theoretical and practical matters of staging and performance. Also, his name was not originally hyphenated. He chose the punctuation so after WWI due to a decision to live a life of leisure and luxury rather than relive the horrors and brutality of war. He married twice, and after the outbreak of WWII, he fled to the US and for a time was lecturer at Harvard University. He eventually moved to Paris, after the war ended, where he died in 1946.